Brush High School’s Ted Boughton Interviewed on WKYC-Channel 3 Promoting Prom Season! Brush High School student Ted Boughton recently had the unique opportunity to be interviewed by the morning crew at WKYC-Channel 3 early a.m. program. On it, Boughton was interviewed for the much anticipated prom season. The arrangement between WKYC and Boughton began when his mother sent his picture to the local broadcast news station, which was then forwarded by consumer affairs reporter, Matt Granite, to Offers.com, an online coupon and promotional agency. In a stroke of good fortune for Boughton, Offers.com has agreed to cover his entire cost of attending this year’s Brush High prom. Along with being interviewed by Matt Granite, Boughton showed off his dance moves, and answered questions about his going to prom this year. You can see the entire two-minute interview by clicking here…http://www.wkyc.com/news/story.aspx?storyid=296407. Way to go Ted! 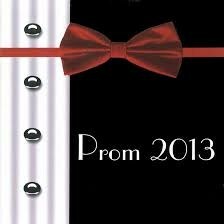 The SEL Schools wishes everyone a safe and exciting prom season!